This is great, but it really irks me that this just comes in one color? 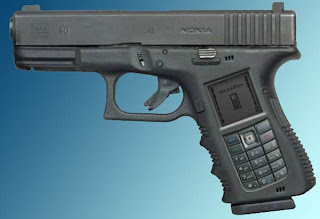 What's was Glock-Nokia thinking? And I would have also liked to have seen something like what the iPhone offers - when you turn the gun sideways to shoot it gangster-style, the sights would move to the side. 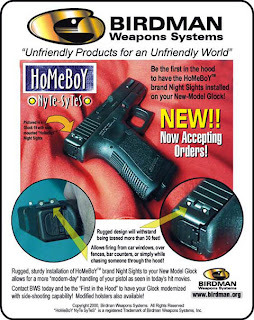 But because it doesn't I'm going to have to spend more money on a new set of Birdman HoMeBoy sights. Sigh. 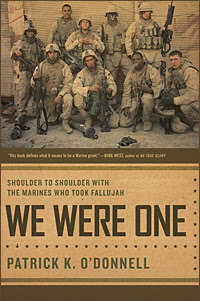 Lately I've been reading accounts of the battles in Iraq. If you don't know anything about this war except what you hear on the TV news, you don't know squat. I've read quite a bit of WWII history and I've been surprised at the similarities. I should have known that war is war. Bracket the new technology and you have the same thing - dedicated, tough young men fighting together to kill our enemies. And make no mistake about it, our men are fighting and killing our enemies in Iraq. Even if it wasn't true that Saddam had weapons of mass destruction, and even if he had no direct connection with Al-Qaeda and what they did to us on 9-11, nevertheless, since we've been in Iraq we have been routing out and killing scads of terrorist there, mostly Al-Qaeda. The reports from the battle of Fallujah (Nov. 2004) confirmed terrorists from 18 different countries were killed in that city. Even Chechen rebels were there, dressed in their own uniforms, and using their own distinctive tactics against our marines! Before you make a critical comment about this post or the war first go read Patrick O'Donnell's Were Were One. After that, feel free to say whatever you want. Alien Attack Imminent! Take Cover! Hollywood star Tom Cruise is planning to build a bunker at his Colorado home to protect his family in the event of an intergalactic alien attack, according to new reports. The story of Jesus rebuking his disciples for hindering people from bringing their babies to him has often been used by Presbyterians in their argument for infant baptism. And they were bringing children to him that he might touch them, and the disciples rebuked them. But when Jesus saw it, he was indignant and said to them, “Let the children come to me; do not hinder them, for to such belongs the kingdom of God. Truly, I say to you, whoever does not receive the kingdom of God like a child shall not enter it.” And he took them in his arms and blessed them, laying his hands on them (Mark 10:13-16). On some level, of course, it works as proof for infant baptism simply because of the way Jesus treats these little children (paidea) and because of the fact that he concludes with a saying about entrance into his kingdom. It is important to remember that there's a huge transition underway at this time. The old people of God are going to be transformed into something new in union with Christ. The kingdom promised in the Hebrew Scriptures is at hand. And in the end when Jesus concludes with the saying, "Amen, I say to you, whoever does not receive the kingdom of God like child shall not enter it," he is speaking to Israel and warning them about receiving his ministry. Every member of the Jewish community was being challenged to humbly receive Jesus and his kingdom. Everyone had to enter Jesus' new kingdom as a child. Therefore, it is appropriate to use this passage for baptism. All baptism is infant baptism. Every one who enters the kingdom does so as a baby. Adult baptism is not the ideal so that we have to find a way to make an exception for infants. Infant baptism is the norm and we need to be careful not to think that adult baptisms are somehow different. A closer examination, however, leads me in another interesting direction. These children being brought to Jesus were already part of the people of God. They had gone through the entrance rituals and been accepted in the community. To put it in terms appropriate to the post-Pentecost situation, these children were already baptized. They were not being brought to Jesus in order to enter the community of the people of God. They were already members of it. The problem was that the disciples were treating these little children as if they were not an important part of the community. Their parents were being rebuked by the disciples for bothering Jesus with requests that he "touch" their children. Apparently for the disciples, Jesus kingdom had to do with weightier matters than touching and blessing little children. Applying this to today, I ask: where is the locus of Christ's presence in the community of the people of God? If someone today wants to "come to" Jesus, where do they go? If a parent wants to bring their little one to Jesus, where will they find him? Well, we confess that Jesus' special presence is at the Lord's Table, eating and drinking with him. Participating in the Lord's Supper is the closest we get to him, or better, he gets to us, until the Second Coming. And the Table is for the entire body of Christ. The "one loaf" represents the one body of Christ: "Because there is one loaf, we who are many are one body, for we all partake of one loaf" (1 Cor. 10:17). According to Paul just a few chapters from this, everyone who is baptized is baptized into the one body of Christ (1 Cor. 12:12-13). Moreover, the weaker members of the body are to be respected and served because they are to have "greater honor" in the body. We all know these admonitions in 1 Cor. 12. But have we applied them to the weakest, seemingly insignificant members of Christ's body—the baptized little children of the church? Well, no, traditionally we have not. Like the disciples we rebuke parents who want to bring their children to eat with Jesus at his Table. We hinder them from coming. These children have to wait. They don't know enough. They are not mature enough. They haven't memorized their catechism yet. They cannot recite the difference between the Reformed, Lutheran, and Roman Catholic positions on the real presence. Give then some crayons and let them color while the bread and wine are being passed. If they reach out and act as if they are part of the family of God and entitled to participate at the family Table and "sense" their inclusion, then swat their little hands so they don't do it again. When Jesus says, "Let the little children come to me," he's not only talking about baptism. He also wants to them to "come to him" regularly. He wants to feed all his children at his Table and have them grow up knowing that they belong to his kingdom. They are not second class, half-way members of his covenant family. The tactile, sensory "touch" of Jesus (Mark. 10:16) is experienced at the Table. Without it, children will never have the full experience and assurance that ought to accompany the confession "Jesus loves me, this I know for the Bible tells me so." The Bible does tell them it is so, but baptism and the Lord's Table confirm and seal Gods love for them in ways that words alone cannot. The bottom line: Jesus is indignant. Why does Paul ascribe to Jesus the title “Son of God” in Romans 1:4? Is he simply borrowing a designation from contemporary Hellenistic or pagan religious culture in order to impress upon his readers a reverence for Jesus that they would be able to readily appreciate? Influential 20th century commentators have argued for this. The suggestion has been made that Paul (and other New Testament authors) utilized the Hellenistic notion of “divine men” as the “sons” of gods as one way to bridge the conceptual gap between the Greek culture and the Hebraic understanding of the Messiah. Wilhelm Bousset, Kyrios Christos, trans. J. E. Steely (Nashville: Abingdon Press, 1970 [German, 1913]), pp. 91-98 and 206-10; G. P. Wetter, “Der Sohn Gottes,” eine Untersuchung über den Charakter und die Tendenz des Johannes-Evangeliums (Göttingen: Vanderhoeck & Ruprecht, 1916); W. Grundmann, Die Gotteskindschaft in der Geschichte Jesu und ihre religionsgeschichtlichen Voraussetzzungen (Weimar: Verlag Deutsche Christen, 1938); Rudolf Bultmann, Theology of the New Testament, vol. 1 (New York: Charles Scribner’s Sons, 1951, 1955), pp. 149-59; and H. J. Schoeps, Paul: The Theology of the Apostle in the Light of Jewish Religious History (Philadelphia: Westminster, 1959), pp. 149-59. Recently, however, this theory has been rejected for many good reasons, not the least of which being, on the one hand, the absence of genuine Greco-Roman pagan parallels that would account for Paul’s view of Jesus as God’s Son or render it more intelligible to his contemporary audience, and, on the other hand, the abundance of Old Testament precedent that gives a much more satisfying explanation for the New Testament authors’ ascription of this title to Jesus. Martin Hengel, The Son of God: The Origins of Christology and the History of Jewish Hellenistic Religion (rev. ed; Philadelphia/London: Fortress Press/SCM, 1977 [German, 1975]); J. Bieneck, Sohn Gottes als Christusbezeichnung der Synoptiker (Zurich: Zwingli, 1951); Oscar Cullmann, Christology of the New Testament, trans. S. C. Guthrie and C. M. Hall (Philadelphia: Westminster, 1959), pp. 271ff. The impetus for employing the language of divine sonship need not have come from pagan traditions of divinized heroes. As we shall see, Paul’s use of sonship derives from common Old Testament language and images as well as from both the history of Jesus’ own verbal interaction with the Father as recorded in the Gospels (Mark 1:11; Matt. 11:27; Luke 6:22, etc.) and the confessions made by disciples, demons, and others (e.g., Matt. 4:3, 6; 8:29; 16:16; 26:63-64; 27:43, 54; Mark 15:39; Jn. 1:34, 49; 3:18; 10:36; 11:4, 27; Luke 1:35), some of which Paul had either already read or the substance of which had been passed down to him by apostolic tradition (Acts 9:20; 1 Cor. 15:1ff.). Many New Testament scholars have even regarded Paul’s language here in Rom. 1:2-4 as evidence of an early, pre-pauline ecclesiastical confession. If this is the case—and its far from being established—it simply underscores the primitive character of Paul’s confession of Jesus sonship and witnesses to the common confessional tradition of the original apostles and the earliest Christian communities that were founded by them. See Oscar Cullmann, The Earliest Christian Confessions, trans. J. K. S. Reid (London: Lutterworth Press, 1949), p. 55; V. H. Neufeld, The Earliest Christian Confessions (Grand Rapids: Eerdmans, 1963), p. 50; and Rudolf Bultmann, The Theology of the New Testament, vol. 1 (London: SCM Press, 1952), p. 49. If Paul does not borrow extra-biblical conceptions in order to ascribe sonship to Jesus, then what does he mean by the phrase “Son of God”? Does he desire thereby to denominate Jesus’ ontological union with God the Father’s divine essence as the eternal Son? This has been a common, indeed, maybe the traditional interpretation of this passage among orthodox commentators since the early church controversies over Arianism and Adoptionism. On this interpretation Romans 1:4 refers to the historical manifestation or declaration that Jesus was truly the eternal Son of God, and the participle that begins the clause in v. 4 is taken to mean “declare” or “show.” What was true ontologically remained hidden during Jesus’ earthly ministry, suffering, and death, but was made clear and manifest when Jesus rose from the dead (as Luther explains: “Before the resurrection this was not revealed and manifested but hidden in the flesh of Christ” [Luther, Lectures on Romans, p. 148]). According to this reading of Rom. 1:4, the resurrection did not make or even provide the occasion for him to become the Son of God; rather, it powerfully declared to the world what he was already—God’s eternal son. The pressure of polemic theology has so influenced the interpretation of Rom. 1:4 that even the phrase “spirit of holiness” has some times been interpreted as a striking way of referring to Jesus’ divine nature in contradistinction to “according to the flesh” which designates his human nature. The antithetically parallel kata-clauses, therefore, describe a contrast or distinction between Jesus’ human and divine natures. Robert Reymond suggests “that the entire clause can be paraphrased as follows: “who was powerfully marked out the Son of God in accordance with His divine nature by His resurrection from the dead’” (Robert L. Reymond, Jesus, Divine Messiah: The New Testament Witness [Phillipsburg, NJ: Presbyterian and Reformed, 1990], p. 207). What I have outlined above we might call the "classical" interpretation of Romans 1:4. In my next post we'll begin to examine the merits of this interpretation. Nothing this time. Between my hunting partner and me (on different stands), however, we saw about 15 deer. I actually walked up on one yesterday afternoon. I was about 10 yards away as she was partially hidden in a field of sunflowers. I drew my bow, held it for about a minute, but then she moved and I saw that she was just a yearling. It couldn't have been a yearling buck, too. I don't know. I let bambi bound away. From my stand that night, I had two clear shots on a couple of doe—about 30 yards away. But I wasn't in the mood for doe this year. And these girls were not very large. I'm looking for an 8-point buck or higher this year. I'm not really thrilled about deer meat anyway. I want the head and rack! I did see a larger buck when it was close to dark. But I couldn't see it well enough to know how large the rack was, and it never presented me with a clear shot. Bummer. Well, at least it wasn't boring with no activity whatsoever. My hunting partner arrowed his first deer and I helped him gut and clean it. So it was an enjoyable outing. It's time for my first bow hunt of the year. 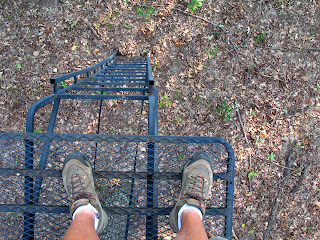 I'll head out in the afternoon after church, sit in a stand for a couple of hours before sunset, spend the night, and try again in the morning. I haven't arrowed a deer yet, so maybe this is the year. We'll see. Looks like it will be hot. I just hope the mosquitoes lock onto some other source of warmth. In my previous post I noted that the technical theological term “Son of God” has been built up from passages that do not necessarily use the phrase itself. This deserves a footnote because of problems associated with reading the Bible in the light of our systematic theological or confessional vocabulary. For most Christians, as I said before, the phrase "the Son of God" functions as short hand, an abbreviation, if you will, of a theological composite of teachings centering on questions concerning the divine nature of the Son in relation to God the Father. There is nothing wrong with this. But it does complicate the exegete’s work and naïve readers are often prone to making such a basic category mistake when they come across familiar theological terms in the Bible. This mistake is similar to what is described by James W. Voelz, What Does This Mean: Principles of Biblical Interpretation in the Post-Modern World, 2nd edition (St. Louis, MO: Concordia Publishing House, 1997), pp. 124-125. "It is important to note that the several different meanings conveyed by the same word, indeed, several different meanings and not part of one "giant" super-meaning." James Barr refers to this problem as “illegitimate identity transfer” in his Semantics of Biblical Language (London: Oxford University Press, 1961), pp. 217-218). Vern Poythress warns against this kind of category mistake with his second maxim of symphonic theology: “No term in the Bible is equal to a technical term of systematic theology.” He explains that “if we want to develop technical terms in theology, such as ‘Trinity’ or ‘saving faith,’ we cannot make those terms perfectly match individual Hebrew or Greek vocabulary items. The reason is that we cannot make a word with a precise meaning exactly match a word with a broad, flexible meaning, or one with several shades of meaning in different contexts. If we really succeeded in making some English word “exactly match” a Hebrew or Greek word, the word in English would be just as vague and flexible as the one in Greek or Hebrew; it would not have any of the advantages of technical precision or fixity of meaning. The more precise we make the technical term, the greater the distance it must have from an exact match to any one word of Hebrew or Greek” (Symphonic Theology: The Validity of Multiple Perspectives in Theology (Grand Rapids: Zondervan, 1987), p. 75). In other words, reading our systematic theological meaning into every occurrence of the phrase "son of God" or "God's Son" in the Bible will most likely cause us to misunderstand the passage. Why should there be such hostility against my comment that we seem to “have lost the ability to critique and correct our tradition when the Bible calls for it.” The Scriptures do indeed call for us to guard against our tradition taking the place of God’s Word. I learned that in Sunday school. Jesus teaches this in his interaction with the Pharisees (Matt. 15). Is our precious Reformed tradition above criticism? I believe it is part of our tradition to be suspicious of tradition, and maybe more importantly, to never rely on our tradition to adjudicate theological and ecclesiastical controversies. But that’s all we seem to want to do these days. Follow the debate over at De Regno Christi, if you want (or if you can). I'd like to transfer some audio files from my old blog to this new one. This is the second of a number of lectures given in April & May of 2002, by myself and Mr. Bill Hoover, the music director at our church, Providence Reformed Presbyterian church. You can find an outline of this lecture here. Remember that Christian people need to be able to have confidence in the office of the pastor and elder. Our primary confidence, of course, is in God and his Word! But God mediates his presence and authority through his officers in the church. They have a secondary, delegated authority. An outward sign of that authority and office helps people. This is not hard to prove. You may have heard of the J.D. Power & Associates study on the importance of uniforms in the workplace. They found that customers prefer to deal with sales associates, service people, etc. who are in uniform. Think about doctors, nurses, judges, and policemen. People want them to wear something distinctive that reminds them of their expertise or calling. We are helped when our doctor wears a white uniform. The uniform assists us in remembering that we can place some confidence in him. This is his calling. The uniform reminds us of his training and commitment. The same ought to be true with our pastors. Biblical teaching as a whole links clothing and calling. You are what you wear or you wear what you are. Just as judges, physicians, policemen, and auto mechanics wear clothing that befits their calling, so should the pastor, especially when he is available to minister to people in the community. You therefore must endure hardship as a good soldier of Jesus Christ. No one engaged in warfare entangles himself with the affairs of this life, that he may please him who enlisted him as a soldier. And also if anyone competes in athletics, he is not crowned unless he competes according to the rules. The hard-working farmer must be first to partake of the crops. Consider what I say, and may the Lord give you understanding in all things (2 Timothy 2:3-7, NKJV). The pastor’s authority, therefore, does not derive from his economic or social status (expensive suits and starched shirts). It does not derive from his natural charisma (impressive hair or flashing dark eyes). It most certainly does not derive from the fact that he looks and acts like other leaders in the world (business suits), even though this is what happens too often in America. Just as the church building with its steeple and cross symbolize the presence of a congregation of believers in the community, so also the visible presence of the pastor in his “uniform” at the grocery store, post office, cleaners, mall, bookstore, etc. makes the ministry visible and more readily available to those outside of the church. It creates opportunities to speak to and serve people in the community. Many of our Christians forefathers would not have understood the need for such a essay as this. Before the democratization of American culture, ministers commonly wore uniforms that set them apart from other callings. NOTE: I am using “democratization” in a negative sense. Egalitarian socio-political movements at the opening of the 19th century radically affected American culture. Traditional notions of authority and leadership in society and church were attacked as “undemocratic.” One of the most fascinating and instructive accounts of this period is Nathan O. Hatch’s The Democratization of American Christianity (New Haven,CN: Yale University Press, 1989). In the past ministers were expected to wear uniforms. In many parts of the world, this is still true. In these cultures there is no need to explain why a minister should wear his uniform around town. Since the time of the Reformation there were, of course, questions about exactly what kind of clothing Protestant ministers should wear, but there was not a great deal of controversy about the fact that they should wear something visibly different. 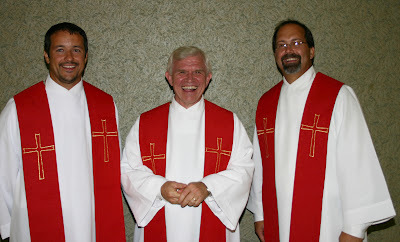 Puritan ministers objected to Episcopal vestments in the sanctuary, for example. But even they themselves wore some sort of robe to lead in the assembly on Sunday and clerical clothing during the week around town to identify them as pastors. It may have been something as simple as the “Geneva bands.” If you’ve seen portraits of 17th and 18th century ministers (like George Whitefield or Jonathan Edwards), then you’ve seen the two strips of white cloth that hang from the front of the collar. It seems like every other Banner of Truth magazine displays on its cover a portrait of a 17th, 18th, or 19th century minister wearing pastoral tabs. It is clear from paintings of Presbyterian clergy of an earlier era (e.g., John Witherspoon in the late 1700's or Archibald Alexander Hodge in the mid-1800's) that clerical garb was considered normal. At one point in Dr. Calhoun’s American Presbyterian Sunday School class earlier this year, after he had been displaying various pictures of 18th century Presbyterian ministers on the overhead projector, someone in the congregation raised their hand. “I can’t help but notice that all of these Presbyterian ministers wore some sort of distinctive clothing. Did Presbyterian pastors wear ministerial clothing and collars back then? If so, when did this practice change?” Dr. Calhoun answered the question in the affirmative and briefly explained that the practice of wearing pastoral uniforms became problematic in the 19th century with the increasing democratization of the church. Of course, Protestant ministers did, over time, choose clothing that distinguished them from Roman Catholic priests. In our context, I think this would mean avoiding the black and white-collared shirt. I will be wearing either a white, blue, or gray colored shirt with a small white tab over the front of my throat. The objection cited at the beginning of this essay implied that it was unnatural for a minister to be identified in any other way than by his life and speech. Is this helpful? How a minister is identified is a little more complex than how Christians with other callings are known to be believers. Around my neighborhood, people know that I’m the pastor of the Presbyterian church up on Sappington and Eddie & Park. I have had a few opportunities to talk with people based on that general knowledge. They came to me with questions or favors. They did so because they knew I was a minister. A similar kind of thing ought to happen to all Christians in their neighborhoods. People should know that you are a believer. But you will have to tell them. They will not be able to discern that you are a genuine believer in the Lord Jesus Christ by observing your activities around your home. Even if you offer your help and service to various neighbors, you are nothing more than a nice guy (or maybe even a Mormon!) unless you make it known somehow that you are a Christian. With those we have contact with on a regular basis this works just fine. We will have opportunities to share Christ with our relatives, our neighbors, and our workmates if they know we are Christians and see that we live according to the example of Jesus Christ. But what, you may ask, will that accomplish? Well, with some people it may mean nothing. For others it will evoke hatred and spite. But there are those who may be curious and want to ask me who I am. There are others who are in need and will ask me for help. Some may have questions about difficult situations they are facing. I anticipate one day walking into Schnucks or Barnes & Noble and having people actually recognize me. “That’s the pastor of the church on the corner of Sappington and Eddie & Park.” That kind of visibility and familiarity cannot hurt the church, can it? I suspect that it will greatly increase my (and our) ability to evangelize people in this area. I wrote this for my congregation a few years ago. Perhaps it will help others. I have begun to wear the recognized uniform of my calling—the white tab-collared shirt—with more frequency these days. Some of you may have never seen me wear the pastor’s collar. You are more likely to now that I have become convinced that I need to wear a ministerial uniform around town during the week. Many of the same arguments I used seven years ago to defend the use of the pastoral robe in worship apply here as well. I will not, however, normally be wearing my collar for the Sunday services. The robe is sufficient for the worship service. You all know that I am a pastor. The collar is for my weekday ministry. It will serve to identify me as a minister in the community. For me there is one overriding reason for wearing a collar: it can open doors for evangelism and ministry in the community that I would otherwise miss. I am convinced this is true. Whenever I have worn my collar in the past, I have always been surprised at the results. I want the congregation to be comfortable with this practice. That is why I’m writing this little essay.† Once you think over the reasons and hear about the results, I think you will understand and accept the uniform as a helpful way for us to have more visibility in our community. “Hold your horses,” someone may say. “If you need a collar to do ministry then you’ve got a problem. You should be identified as a Christian minister simply by your life and words.” I’ve actually had someone (not a member of this congregation) say this to me. I do think that there’s more than a little truth in such a statement. Surely a collar alone does not make one a minister. But I don’t think it’s really that simple. The real question is not whether I need one, but will wearing a uniform help me better perform my ministry in the community. I certainly don’t need a collar to do ministry. I will never claim that it is necessary. Rather, I think it is beneficial. The same holds true for other professions. A waiter or EMT specialist doesn’t need a uniform, but it sure helps. And if it is helpful for waiters, policeman, doctors, even UPS drivers to be readily identifiable by their uniform, shouldn’t the same hold true for pastors? Furthermore, I don’t deny that a collar alone is worthless. There must be godly living and speaking if there is to be any real ministerial service to others. To be sure, some ministers may wear a collar out of haughtiness and self-promotion. Some may even misinterpret my decision to wear the pastoral collar as arrogance—a kind of spiritual one-up-manship. I’m a minister and you’re not. Look at me! But I know my own motivations. I fully expect that a few will call me pompous and elitist. But that is not the effect that wearing the uniform of a pastor has on me. It affects me in just the opposite way. The actor Laurence Olivier once said that he could not become a character until he had decided upon the right nose. Clothes do the same thing for us. A moment’s reflection will show that the kind of clothes you wear affects the way you behave. There’s a powerful short story by Ray Bradbury called “The Wonderful Ice Cream Suit” in which six down-and-out men experience a miraculous transformation in their attitude and behavior when they wear a brand-new white suit around town for an evening. When I wear a collar I am continually reminded of my accountability as a minister of the Gospel. In a word, I speak and behave differently. I have a constant reminder that I am a slave of Jesus Christ. With all due respect to those ministers who don’t wear a collar, I find dressing like a West County banker or lawyer to be a much greater temptation. Why should I pretend I’m someone I’m not? Why should I wear clothes that affect me in ways that do not contribute to my ministry? I think the offense of the collar is often determined in large part by the man wearing it. If he's a smart aleck with a haughty attitude, he'll probably come off as a high-church upstart. This is a real temptation. Nevertheless, I think wearing the collar will actually serve to curb this temptation for me. It will constantly remind me of my calling, of how I should speak and act before the world as a representative of Jesus Christ and his Church. Moreover, if I wear a uniform, I can no longer travel around town incognito. What I say and do will be evaluated differently by everyone who sees and hears me. Wearing the collar will be an act of self-denial, a helpful means of rectifying my own sinful tendency to hide my calling. That white tab over my voice box will remind me of the need for sanctified, life-giving speech. While I’m out in the community, I must take Paul’s charge to Pastor Timothy with the utmost seriousness: “Watch your life and doctrine closely. 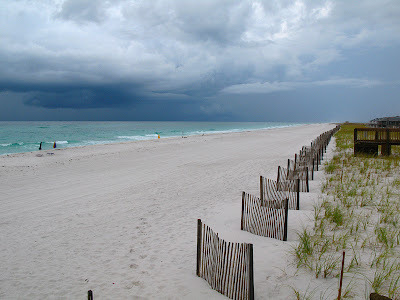 Persevere in them, because if you do, you will save both yourself and your hearers” (1 Tim. 4:6). Think about the office of the pastor and what kind of work he should be doing. The pastor is not a businessman. He is not the CEO of the ecclesiastical corporation with its headquarters at the intersection of Sappington and Eddie & Park. I always feel a little uncomfortable in a starched shirt, suit and tie. It tends to contribute toward a very real problem in our PCA churches. We tend to attract upper-middle class people. People in these economic strata are comfortable around a pastor whose uniform is a suit and tie. Poorer people, however, often find it hard to relate to a pastor who dresses like and acts like a banker or businessman. I often sense that what I wear erects unfortunate barriers in certain situations. Talking to a poorer man or woman wearing a Polo shirt doesn’t make sense. I think it’s important for us to reflect on how our pastors are dressed. Just because a congregation doesn’t have their pastor wear a robe on Sunday or a collar on the weekdays doesn’t mean that they escape the idea of a uniform. In the modern Evangelical subculture pastors are expected to dress conservatively. This usually means a blue or dark suit, a white starched shirt, a conservative necktie, etc. As I have already pointed out, the problem is that this attire is the typical weekday uniform of a lawyer or middle to upper management businessman. Unfortunately, it has become de facto the American Evangelical clerical garb. I think this “uniform” often communicates precisely the wrong message in our churches and the communities in which we minister. Our pastors too often seek to conform to the patterns and symbols of authority prevalent in American middle class culture. It is simply not possible to escape the symbolism of clothing. When a minister wears a collar, however, it helps him and the people he comes in contact with remember that his authority comes from Christ and his Church. In the Bible clothing and calling are often connected; a person’s calling or office—together with whatever authority is connected with the office—is often visually symbolized by the clothing the man wears (Gen. 9:20-27; 37: 3-11, 23; 39:1-13; 41:1-44; all of the references in Exodus and Leviticus to the clothing of the priests; 1 Sam. 2:19; 15:27; 18:4; 24:4, 5, 11, 14; Ezra 9:3-5; Esther 8:15; Isa. 22:21; Jonah 3:6; Matt. 22:11ff. ; 27:31; Mark 16:5; Luke 15:22; Rev. 1:13; 4:4; 6:11; 19:13, 16). The purpose of the pastoral collar is to cover the man and accent his God-ordained office or calling. This is the first of a number of lectures given in April & May of 2002, by myself and Mr. Bill Hoover, the music director at our church, Providence Reformed Presbyterian church. You can find an outline of the lecture here. Hey! This is my eighth-grade gym teacher! One danger must be addressed before we move on. Systematic, dogmatic, and polemic theology have largely come to identify the ascription “Son of God” with Jesus’ divinity. Most systematic theological treatments of the title “Son of God” take it to refer to Jesus’ essential or substantial oneness with the divinity of the Father. A few examples from Reformed and Lutheran theology will illustrate this. This nice, neat division between the name as applied (improperly?) to creatures and metaphysically to Jesus as possessing the one divine essence gives the impression that the biblical phrase “Son of God” has some fixed technical meaning equivalent to its traditional use in trinitarian theology. Of the two biblical proof texts offered by Mueller, John 1:1 probably fits with this specific technical sense. One might wonder, however, how Mueller would exegete Matt. 16:16 in order to prove that Peter’s confession “You are the Christ, the Son of the Living God” references Jesus possession of the “divine essence.” Mueller’s statement illustrates the problem with technical theological terms like this. They tend to constrain and limit a reader’s openness to the rich semantic possibilities of biblical words and phrases. With a view to David this refers to the decree of God of which mention is made in 2 Sam. 7, and with a view to the Messiah—of whom David is a type—Heb. 1:5; 5:5 interprets it as referring to eternity, in which Christ as the Son was generated by the Father, that is, in which he was brought forth as the effulgence of God’s glory and the very image of his substance. Moreover, according to Acts 13:33; Rom. 1:3, the second person of the trinity was declared to be the Son of God with power, by the resurrection of the dead. (Herman Bavink, The Doctrine of God, trans. by William Hendriksen [Grand Rapids, MI: Wm. B. Eermans Publishing Company, 1951], p. 269). But the name Son of God when ascribed to Christ has a far deeper meaning than the theocratic: he was not a mere king of Israel who in time became an adopted Son of God; neither was he called Son of God because of his supernatural birth, as the Socinians and Hofmann held; neither is he the Son of God merely in an ethical sense, as others suppose; neither did he receive the title Son of God as a new name in connection with his atoning work and resurrection, an interpretation in support of which John 10:34-36; Acts 13:32, 33; and Rom. 1:4 are cited; but he is Son of God in a metaphysical sense; by nature and from eternity (p. 270). This passage illustrates well the ever-present semantic temptation theologians are faced with when they exegete biblical texts. Because various heretics and heresies have advocated erroneous senses in which Jesus “became” the Son of God at some point in his temporal existence, Bavinck succumbs to the temptation to reject any sense in which Christ might have been so designated in time and history. Clearly Bavinck is not comfortable with understanding “Son of God” as a honorific title given in connection with his atoning work and resurrection. The resurrection can only declare or manifest to the world what as already true—that the second person of the Trinity is Son of God in a metaphysical sense from eternity. Whether this is the meaning of orizo in Rom. 1:4 remains to be seen. At this point, we should note again the temptation to read into Paul’s words the precise systematic theological meaning that has come to be associated with this common New Testament christological ascription. For our purposes, we can note here that the designation “Son of God” or even “Son” does indeed refer to Christ’s divinity and essential unity with the Father in many places in the New Testament (e.g., John 1:14, 18; 3:17; 1 John 4:10; Heb. 1:2), and especially in Paul’s letters (1 Cor. 8:6; Gal. 4:4; Phil. 2:6ff. ; Col. 1:13, 16-17). I am not denying Jesus eternal divine sonship. Everyone should be clear about that. What I am denying is that this phrase does not always refer to this reality in every place it is found in Scripture. I believe that even in the epistle to the Romans Paul sometimes uses “Son” with this "metaphysical" nuance (Rom. 1:3; 8:3; 32). But even so, it would be difficult to prove, even in these passages where the context (the Father’s sending his Son) favors the “systematic theological definition” that Paul intends to exclude any reference to the incarnate Christ. It is extremely doubtful that the Apostolic authors intended everything that post-Nicea orthodox theologians mean when they speak of the eternal “Son of God.” This is because in response to various christological and trinitarian heresies the technical theological phrase “Son of God” has been assigned a very precise meaning based on a large number of New Testament texts bearing upon the larger question of Jesus’ essential divinity, some of which do not even use filial language. Thus, the meaning of the technical theological term “Son of God” has been built up from passages that do not necessarily use the phrase itself. In systematic theology the phrase now functions as a kind of short hand, an abbreviation, if you will, of a theological composite of teachings centering on questions concerning the divine nature of the Son in relation to God the Father. There is nothing wrong with this. But it does complicate the exegete’s work and naïve readers are often prone to making such a basic category mistake when they come across familiar theological terms in the Bible. We must recognize that in systematic theology we have developed technical phrases and titles that have a precision not found in the New Testament writings. Traditionally “Son of God” has come to refer almost exclusively to Jesus divine nature. Theologians use other terms and phrases that designate his humanity. Unfortunately (or fortunately, depending on your perspective), things are not so neat and tidy in the New Testament. But now, the question before us is this: what does Paul mean by "Son of God" in Rom. 1:4? Our investigation will proceed in three stages. First, we will examine the immediate context and the language of Rom. 1:4. Second, we will survey the Old Testament background, concentrating on the connection between Rom. 1:4 and the Davidic covenant (1 Sam. 7; Ps. 2; Ps. 89; etc.). Finally, some modest conclusions will be outlined and the significance of our findings will briefly surveyed. What does Paul mean when he confesses that Jesus Christ has been appointed the “Son of God with power/authority” in Romans 1:4? Is he referring to Jesus' divinity - his eternal sonship as the second Person of the Trinity? Or is Paul talking about the man Christ Jesus? I will make some modest suggestions about the nature of Jesus sonship and the content of the preaching of the Gospel in the New Testament, which means that even a narrow focus on the meaning of this name or title in Paul’s epistolary introduction to Romans ought to provide us with a fruitful perspective on christology and soteriology as a whole. Indeed, Paul sums up the apostolic preaching of the Gospel with this climactic statement: Jesus Christ has been appointed to be the Son of God with power/authority. Let me say a few things about this new iPod Nano. First, it's incredibly thin. I think I said that already. But it is. Very thin. Insanely thin. Wafer thin. Thin lizzy like thin. Very cool. Second, I used it to listen to an audio book while walking this week. But I just got around to uploading a few photos and a video to the little critter. Wow. The resolution is sweat. At first I thought that photos would look crummy on the little screen. But no. The color is vivid and the resolution is such that you cannot see any pixels. What's more, the video is smooth, very impressive. Better than my 5th Gen 30GB iPod. It's over 50% brighter. Let me put it this way: watching a video on the new Nano screen is much, much better than uploading it to YouTube and watching it on your desktop monitor. This little Nano is the best of them all. I'm stuck in the Atlanta airport. I think everyone else in the South East is too. The tropical-storm-turned-hurricane seems to have royally messed up the flight schedules. I've been here since 3:30 and it looks like I won't leave till 11 PM. I wish I would have brought a movie to watch. I don't see anything interesting to download from iTunes, but I ought to take a look again and lower my standards a bit. I'm listening to the TWIT podcast right now, but that's almost over. I've got Gibson's Spook World on my iPod. Oh, that's right. I had to get a new iPod so I got one of the new squat Nanos. They ought to be called iSquat or something. But, man, are they thin. Super thin. 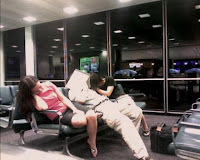 There's something yucky about airports. I don't think I can put it into words. Perhaps it's the lack of fresh air. But I always feel greasy when I get home if I spend more than a hour or so in one of these modern marvels. From left to right, kneeling: Lex Taylor, Jeff Meyers, and Blake Purcell. 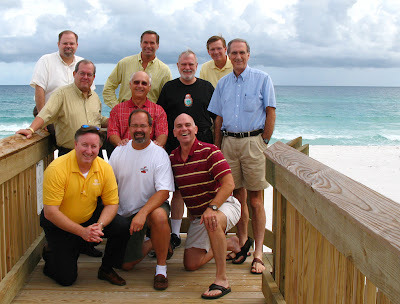 Second row: John Stoos, Mike Forster, Jim Jordan, and Geoff Donnan. Back row: Randy Booth, Gene Liechty, and David Alders. 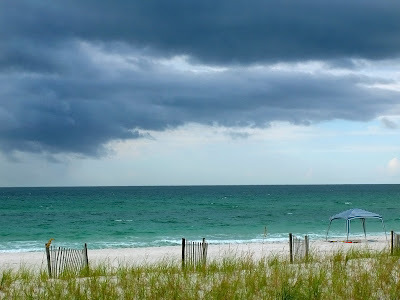 I'm at Pensacola Beach this week for a mission board meeting so I won't be able to post until the weekend. 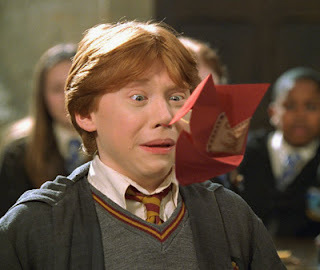 Ms. Rowling may not have intended the symbolism I have imposed on her story, but my point is that the story can easily be interpreted as blatantly Christian, especially if you believe her confession. At the very least, if her intentions were satanic, we know that "food sacrificed to idols" can be eaten by us, if sanctified by prayer and received with thankfulness, right? If she is deceptively leading us to the occult, let's "confuse the enemy camp" and "plunder the Egyptians" by demonstrating that all truth is God's truth; that all stories are His stories; that even those who don't want to, sometimes accidentally reflect the Image in which they were created! Therefore, he who would find Christ, must first of all find the Church. How would one know where Christ and his faith were, if one did not know where His believers are? And he who would know something of Christ, must not trust himself, or build his own bridges into heaven through his own reason, but he must go to the church, visit and ask of the same. . . for outside of the church is no truth, no Christ, no salvation. If this sounds odd or just plain wrong to us, it is because we have been infected with a gnostic mentality. The Spirit speaks through the Bride (Rev. 22:17). When Jesus calls on the seven churches to hear the Spirit, he wants them to listen to the voice of their pastor/messenger as he reads the letter addressed to them (Rev. 2-3).
. . . because it is now our intention to discuss the visible church, let us learn from the simple title ‘mother’ how useful, indeed how necessary, it is that we should know her. For there is no other way to enter into life unless this mother conceive us in her womb, give us birth, nourish us at her breast, and lastly, unless she keep us under her care and guidance until, putting off mortal flesh, we become like the angels. Our weakness does not allow us to be dismissed from her school until we have been pupils all our lives. Furthermore away from her bosom one cannot hope for any forgiveness of sins or any salvation” (Inst. 4.1.4). We should note that Calvin is not talking about an invisible, “spiritual” church, but the very physical community of believers who gather to serve one another and be the means by which God serves by speaking, hearing, singing, and praying for and to each other. In some sense, the church is the preeminent ordinary means of grace (see Peter Leithart’s “Against ‘Christianity’: For the Church” as well as his “Sociology of Infant Baptism,” both of which are in Biblical Horizons: Christendom Essays, No. 100 [Dec. 1997]: 29-50 and 86-106). So why are so many so afraid of this? One of the most harmful notions ever foisted upon Reformed Christianity is this idea that God normally communicates his presence immediately to the soul of man, by-passing all outward, physical means. Yes, it is true, and it is part of the genius of Reformed theology, that the Lord is free to work outside of his constituted means in extraordinary cases. But this only means that the Lord ordinarily works just as he has promised through his appointed instruments to communicate his grace, that is through the instrumentality of the audible words of his ministers, through the water of Baptism, and through the bread and wine of Communion. There are, of course, extraordinary circumstances where we will not limit the power and grace of the Lord. But why must we always do "theology by exceptions." Baptism can not be allowed to do anything because what about the thief on the cross? Or what about the baby who dies before getting to the font? Doing theology by appeals to exceptions leaves one with a very impoverished understanding of the sacraments. We should as Reformed pastors affirm that the Lord’s ordinary, normal means of delivering his gifts is indeed through his constituted means and not beside them or around them or without them! This is God’s normal modus operandi. The Lord’s Spirit normally works through the human and physical instrumentalities that he has ordained! Otherwise, the promises that are attached to these means are misleading and even deceptive. We now see the reason why Christ employs such magnificent terms, to commend and adorn that ministry which he bestows and enjoins on the Apostles. It is, that believers may be fully convinced, that what they hear concerning the forgiveness of sins is ratified, and may not less highly value the reconciliation which is offered by the voice of men, than if God himself stretched out his hand from heaven. And the church daily receives the most abundant benefit from this doctrine, when it perceives that her pastors are divinely ordained to be sureties for eternal salvation, and that it must not go to a distance to seek the forgiveness of sins, which is committed to their trust” (Commentary on the Gospel According to John, vol. 2, trans. by William Pringle [Grand Rapids: Baker, 1981], p. 272). Apparently, in order to safeguard the sovereignty of God’s work we often think that we must remove all external means, all mediation, indeed any human or created instrumentality and confine the work of salvation and sanctification to private, unmediated operations of the Spirit on the individual soul of man. Conservative Reformed theologians and pastors are particularly susceptible to this error because of the undue influence of B. B. Warfield’s little book The Plan of Salvation (Philadelphia: Presbyterian Board of Publication, 1915). Before I even say anything about this book let me head off some criticism from Warfield purists. Warfield was a great biblical and systematic theologian. I don't doubt that for one minute. I've benefited enormously from his work. That's the first thing to say. Secondly, I'm concerned not so much with Warfield's overall theology, but with what is expressed in this little book The Plan of Salvation. A lot of people have no contact with Warfield except through this book. I know that's true of many seminary students. My problem is that this little book, apart from Warfield's other work, presents a badly skewed picture of his theology and therefore of the theology of Calvinism on the sacraments, liturgy, and the church. This is profoundly disturbing. If this little book is taken in isolation from Warfield's larger work, then it will lead the reader to break free of the magisterial Reformation, especially the Lutheran and Calvinian insistence that God does indeed use human instrumentalities (water, bread, wine, the human voice of another, etc.) to communicate himself and his grace to his people. Warfield’s conception of a purified Calvinism as consisting of the immediacy of the Spirit’s work on the soul of man was motivated more, I fear, from his own prejudice against the sacramental systems of Rome and Canterbury than by a careful reading of Holy Scripture. This continues to be a problem in Reformed circles. Warfield argues that immediacy is the essence of the Reformed faith and biblical religion come to its own. On the contrary, I would argue that the unbiblical notion of immediacy is the Achilles’ heel of American Calvinism. Why do we feel that it is unworthy of the Holy Spirit to bind himself to such unimpressive external means as the homely words of Scripture heralded by the gravelly voice of a flesh-and-blood preacher or the bread and wine of the Supper or the water of Baptism? Is it not often because of a false spiritualism, a kind of gnosticism that has crept into our thinking as Christians? An alien, unbiblical notion that the Spirit must operate immediately upon the soul of a man without external means or instruments? Where is this taught in the Bible? The real essence of biblical religion is perhaps the hardest thing we modern spiritualistic Christians must learn again. We are so accustomed to think of body and soul, flesh and spirit, physical and spiritual as opposites that we no longer understand that the whole magnitude of God’s love lies in the astonishing fact that God’s Son came to us in the flesh and that the Holy Spirit graciously binds himself to the external means of grace. To deny this is to slip into a form of Gnosticism. Philip Lee argues persuasively that American Protestantism in particular has, perhaps unwittingly, embraced a form of Gnostic spiritualism (Against the Protestant Gnostics [Oxford: Oxford University Press, 1987]). I think he's right. Modern Reformed folk don't like liturgy because they think it introduces an unwelcome "intermediary" between God and the individual soul. All that stuff just complicates things. We don't need it. After all, if I have direct spiritual contact with Jesus, why do I need all this other material stuff? I just got some interesting news. I was notified that one of my photos is in the running for the 2007 Nikonian's Photographer of the Year Award. Cool. 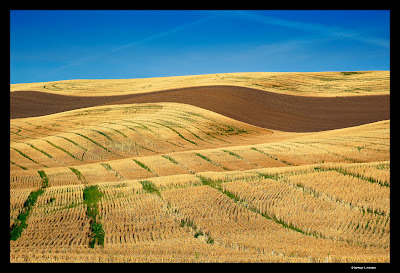 My image "Earth Waves" won first place in the Nature Category in Segment #3 May-June. What that means is my photo will be one of twelve that will compete for the Photographer of the Year award. Awesome. I'll post the image below. You can click on it to see a larger version. Okay, techheads, what is this thing? I can't decipher the point of the device from Sony's Rolly Show site. It makes absolutely no sense to me. White Robes = Good Guys! Jon is right about white vs. black. We switched from black to white Easter Sunday 2006. White is so much better. Here's a picture. I'm on the right.